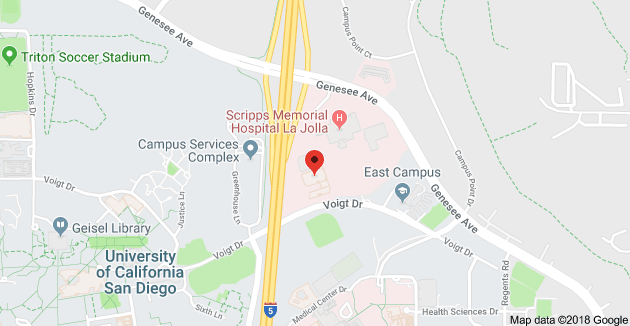 Dr.Sunil Bhoyrul, a surgeon at Olde Del Mar Surgical, recently spoke at a Ted Talks event to focus on the inflection point, or turning point, in a doctor-patient relationship. Primarily, he noted the shift in healthcare in recent years with the stress on a patient’s electronic health record. In this age of technology, healthcare professionals rely on an immense data bank of information that gives detailed information about a patient and can be accessed at any location. This information is crucial in understanding a patient’s vital signs, medical records, and health history. This is all well and good, but Dr. Bhoyrul is concerned about the lack of a healthy doctor-patient relationship that has resulted for many healthcare professionals since data collection has become such an emphasis. In the past, doctors knew their specialty and they knew their patients, building solid connections with each interaction. Today’s doctors know the electronic health record, but may forget to focus on the human being in their office, and there needs to be a shift. The human touch is more important in a doctor-patient relationship than the vast storage of information in a computer. The electronic health record is meant to give a doctor valuable information, but it is possible to learn even more by focusing on the patient. Dr. Bhoyrul suggests that doctors can transform the electronic health record into something much more meaningful, delivering much better care, when they focus on excellence, humanity, and respect. By doing so, healthcare professionals will build strong connections with their patients. As you explore all of your options for bariatric surgery, look for the following qualities in your surgeon and team of professionals. From the moment you first meet your surgeon until your bariatric surgery has been successfully completed and you receive follow-up care, your surgeon and staff members should deliver excellence. That means more than having an impressive reputation or a long list of satisfied patients. Excellence goes beyond a state of the art facility with the latest innovations in the field. Excellence is directly related to the connections that your surgeon makes with you. Your surgeon should be accessible, someone you feel is a partner in your quest to lose weight. You need a doctor who will take the time to talk to you for as long as you need, who will listen attentively to your concerns, and who has not forgotten the importance of the human touch. Your doctor-patient relationship will be even more meaningful when there is a focus on humanity. In other words, your doctor should ask you exactly why you want to have bariatric surgery. What impact will it have on your life? How will bariatric surgery make your life better? What goals do you hope to accomplish after you successfully shed the excess weight that you have been carrying around? What led you to this point in your life that you have chosen to have surgery that is life-altering? Your surgeon needs to understand who you are as an individual, where you are coming from, and where you want to go once your procedure has been completed. As you forge a connection with your surgeon, respect is a must. Your doctor needs to accept you for who you are and have compassion as you share your struggles with obesity. Your courage needs to be recognized at this crucial point in your life. You are making the decision to finally take control of your body, even when it means facing a major surgical procedure in order to see a positive outcome. At the same time that your surgeon must respect you, you need to have respect for your physician and the team of professionals who treat you. Remember that your medical staff is human. They are under a great deal of strain and face major decisions on a daily basis. In many cases, your surgeon could be dealing with life or death situations. As you receive care and interact with the professionals who are helping you to reach your weight loss goals, hold them in the highest esteem. Expect the surgeon and staff to do the same in return for you. 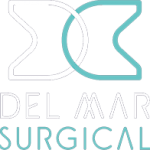 learn more through an online seminar or contact the team of professionals at Olde Del Mar Surgical, located near San Diego, California, at 858.457.4917. You will discover a dedicated group of healthcare staff members who are committed to helping you to reach your weight loss goals. Expect an emphasis on building a meaningful doctor-patient relationship when you meet Dr. Bhoyrul, Dr. Farinhold, Olde Del Mar’s dietitian, and competent support members who will make you a top priority as you undertake this next step in your weight loss journey.